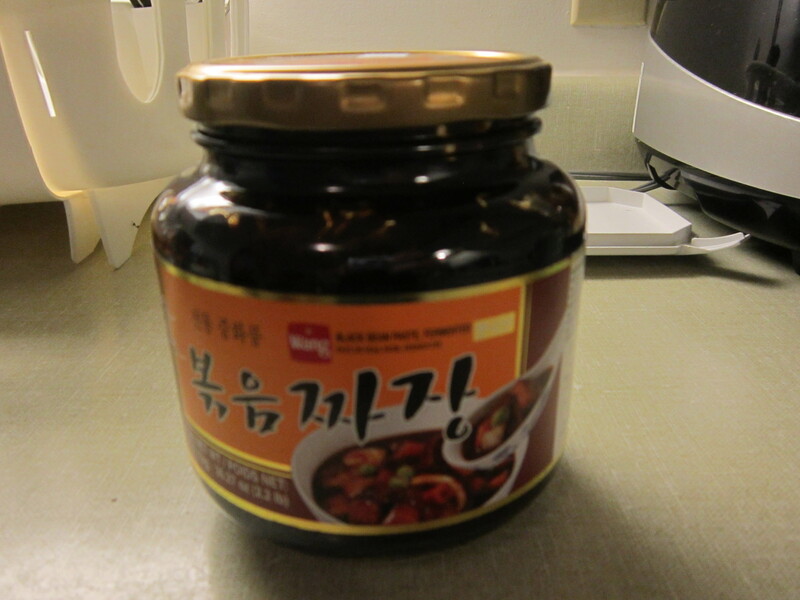 Today I am posting a favorite Korean recipe! I like to make this on the weekends in a large amount so that we can take it for lunch a few days into the following week. 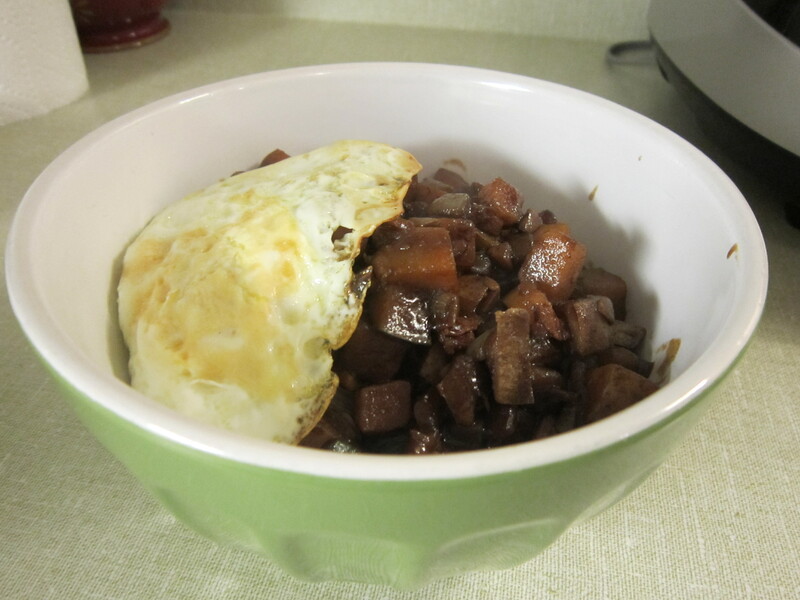 The recipe I’m featuring today can be eaten with rice or noodles (Jajaing Myung). 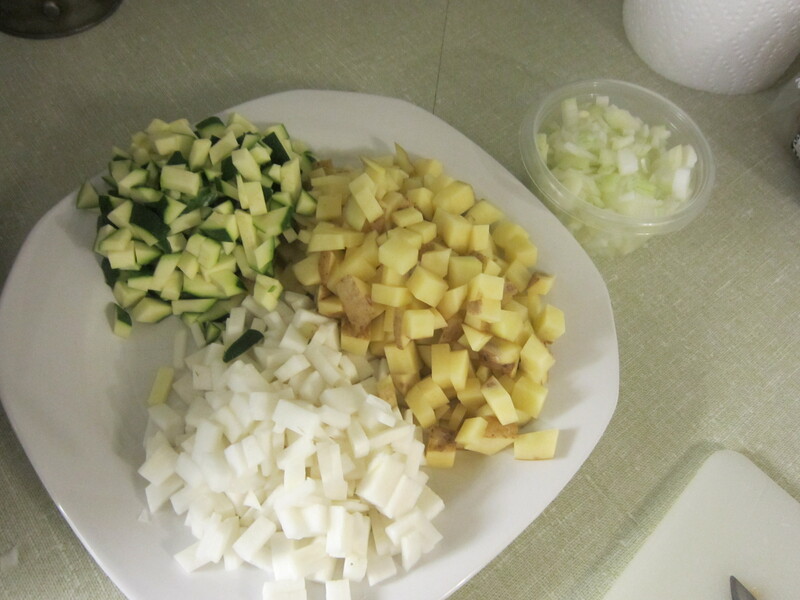 To make Jajaing, start by chopping the veggies into small pieces, think the size of the tip of your pinkie finger to it’s first joint. Set it all aside on a plate and chop the meat into bite size pieces or smaller. 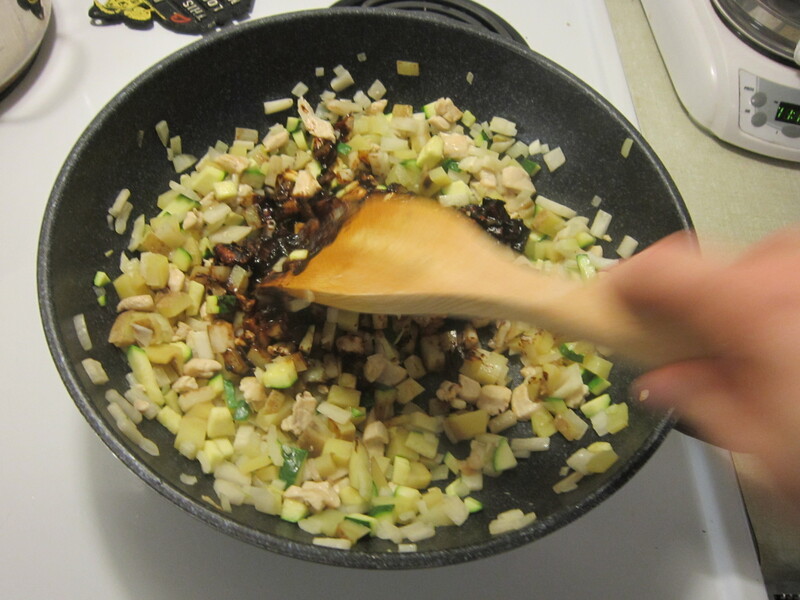 Add about a tbs of cooking oil to a large Wok. Heat the oil until it moves quickly then add your chicken to cook it through. Check your heat that it doesn’t stay at full heat or the chicken will brown too quickly. 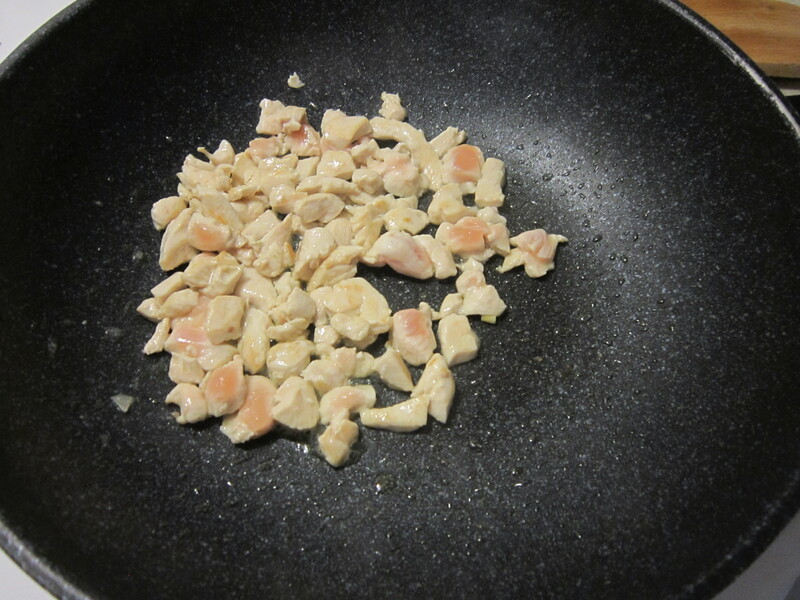 Chicken is chopped into small bite size pieces and fried first. Just before the chicken starts to brown, add your potato and radish and stir often. 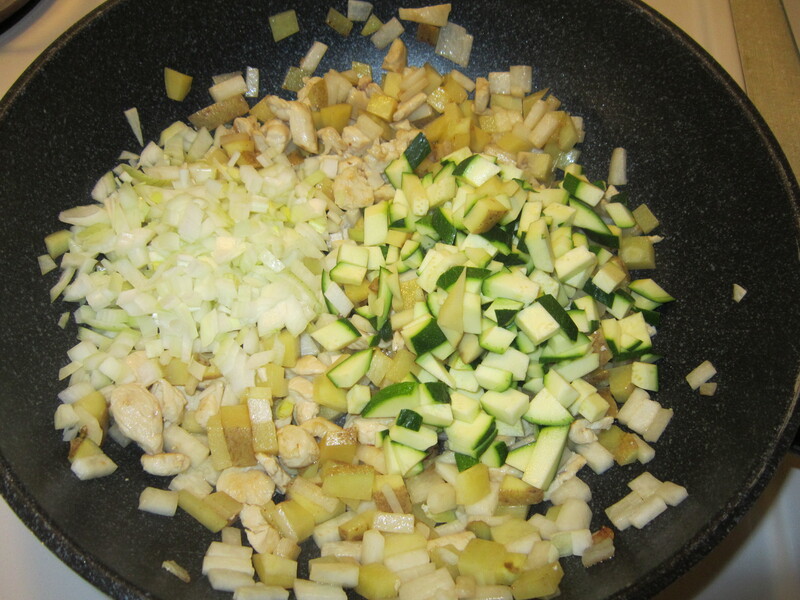 Add the zucchini and onion just as you see the potatoes starting to get crispy on the outside. It looks so beautiful at this stage! 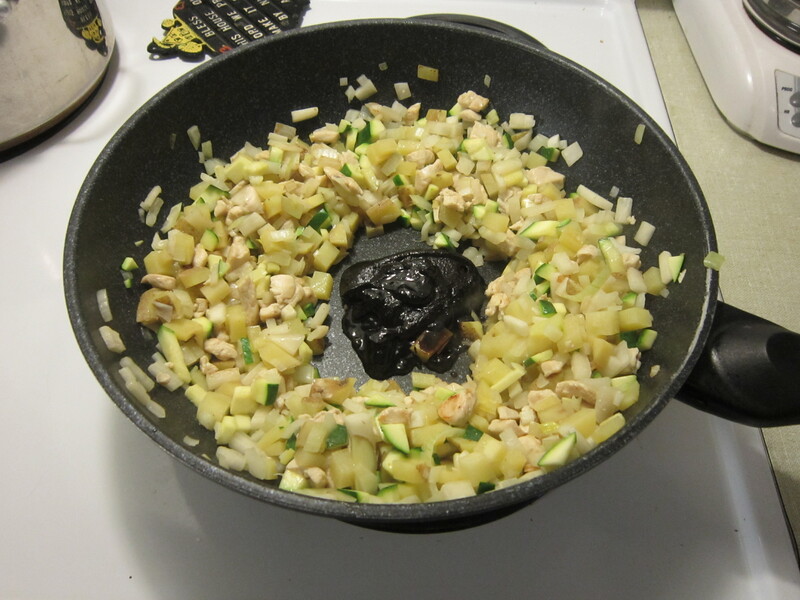 While the zucchini is cooking through scoop your black bean paste and have your oil handy, this is the fun part. 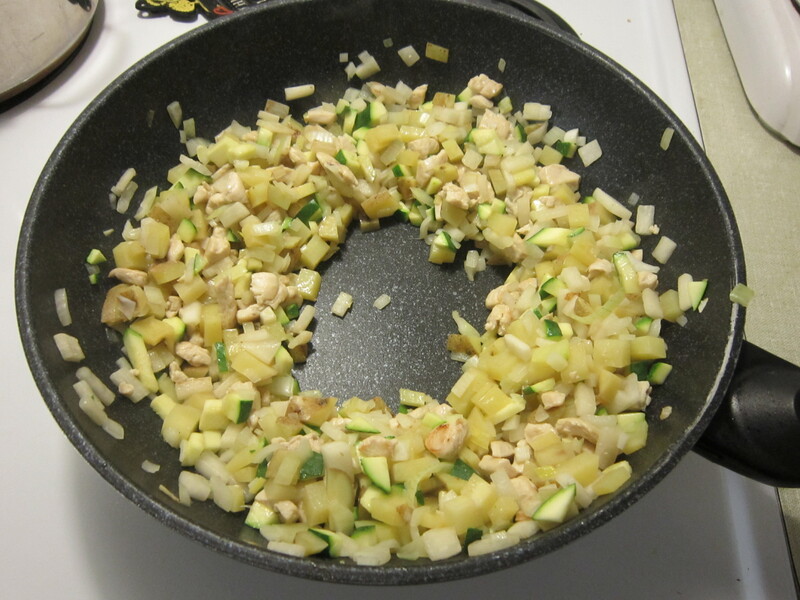 Move all of your veggies and meat to the the sides of the wok, making a donut shape with a little space in the middle of the pot. 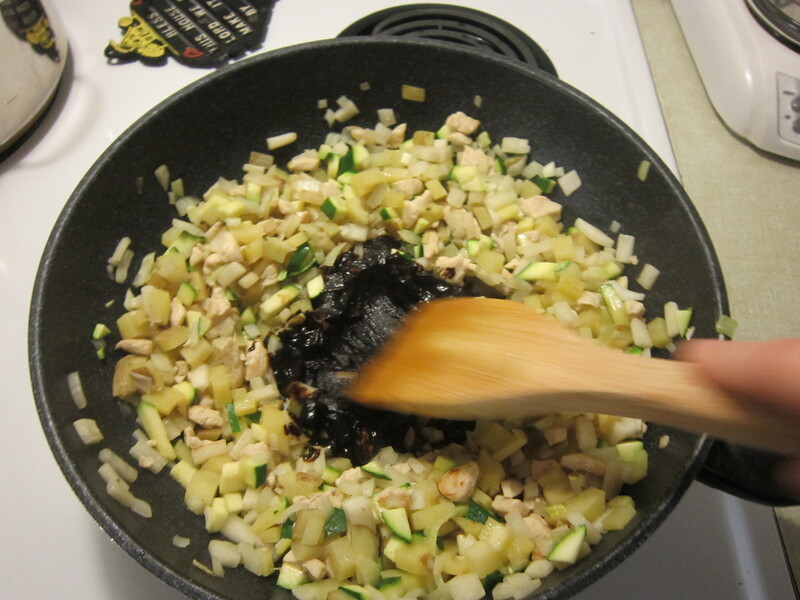 Add a bit of oil to the hole, and then quickly add in the black bean paste. 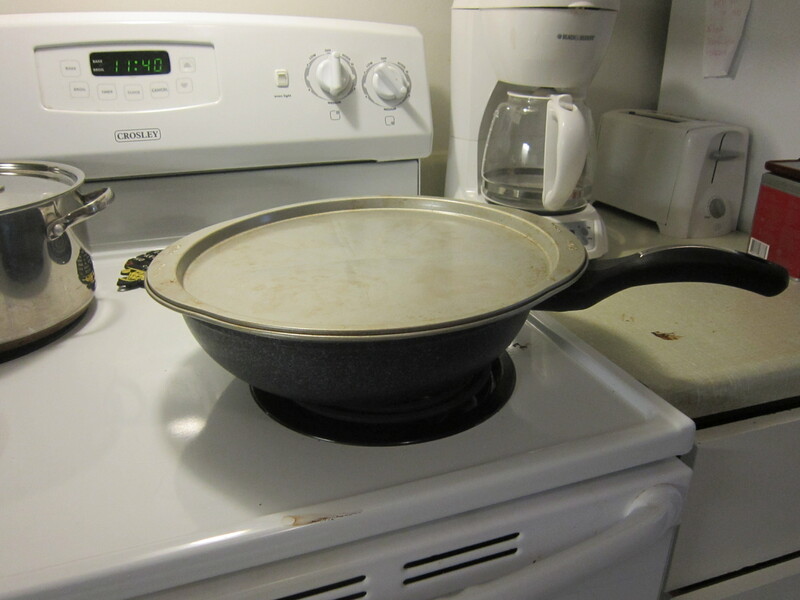 Fry it in the center of the pan and slowly add in the contents that are around the outside. Do this until everything is coated in the black sticky paste. Now add four cups of water to the mixture and stir it up for a moment then place a lid on for 10 minutes on medium low heat. I have modified her recipe to suite my taste. After 10 minutes carefully open the lid and give it all a good hardy stir. Grab a little spoon and taste to see if it suites your salty preference. 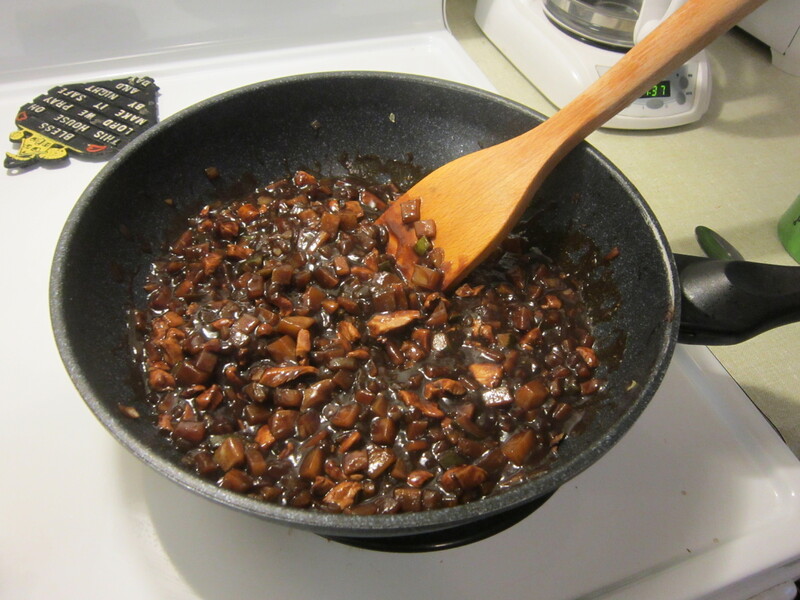 You can add some sugar and potato starch as well as sesame oil if you have that taste preference. I like the salty taste from the fermented bean paste. Serve it warm over a bed of rice or noodles.